This set of three pocket-sized notebooks provides a place for pilots to track important notes or reminders during their trips. In addition to the blank writing space included in each 48-page Flight Notes notebook, there is a range of key information to assist with pre-flight planning or in-flight tasks. 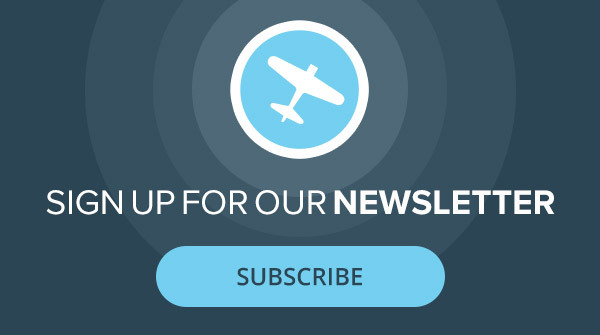 Some of the features include common radio frequencies, METAR descriptors, aircraft equipment codes, VFR and IFR cruising altitude diagrams, a crosswind determination table, and a list of useful aviation mnemonics, among many others. Pilots can also personalize their notebooks to keep vital information related to their specific aircraft and airport on-hand using the notebook’s airport data table and aircraft identification page. 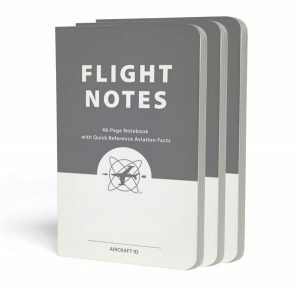 The pack of three Flight Notes notebooks costs $9.95.